Bangor is about a two hour drive from Dublin, about three quarters of it on one motorway. Fortunately, it was possible for me to alleviate the tedium by means of an eight tape unabridged recording of Terry Pratchett's Men at Arms. My friendly little GPS told me that I managed an average speed of eighty seven kilometres per hour, which shows the nature of the journey as much as anything else. As a little aside, the road from Dublin to Belfast is probably the only journey on this island where you can maintain a speed like that. The fair had two coasters, the ubiquitous Wacky Worm (#769) and the reason for the trip, a Fabbri-built Mad Mouse (#770). It seems anticipation had gotten the better of me for this ride, as while it was fun, it did not seem to have the je-ne-sais-quoi which makes the Reverchon spinning coasters what they are. I did try it a second time, thanks to spare non-refundable tokens after I was refused permission to ride the Ferris Wheel as a single rider, and I came away just as nonplussed. Pictures of the fair as a whole are available here. 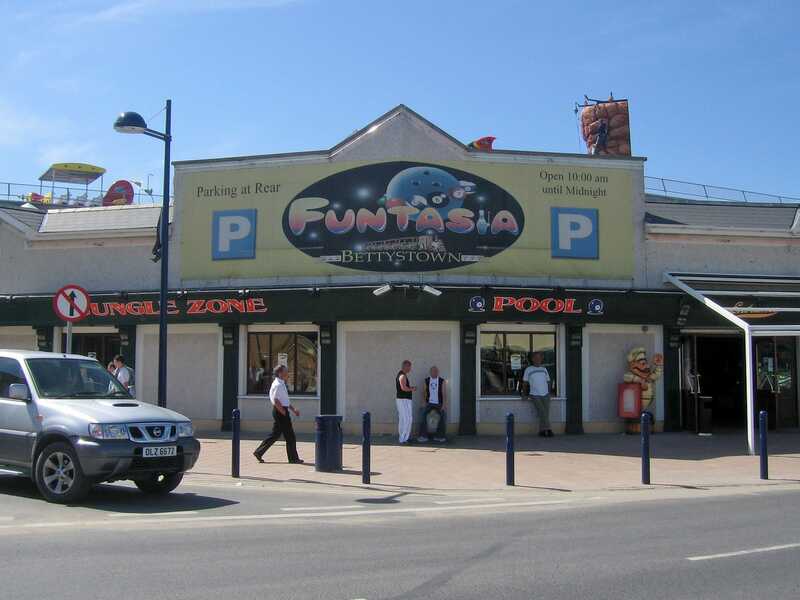 Funtasia is the only permanent facility in the Republic of Ireland to have a roller coaster, and given that particular accolade it was only going to be a matter of time before I made the trip. The place is essentially an amusement arcade with a selection of rides thrown in, most of them on the building roof. Everything I could see seemed to have come from the SBF/Visa catalogue, including the Rollercoaster (#771), a standard layout Big Apple.